Feel free to attach / link any pictures of your Bremonts - the more we see the better! I own a Bremont BC-S2 White and a Martin Baker MBII 'Orange'. My favourite Bremont model ever is the EP120, followed closely by the MBII Orange. Newbie chiming in I'm Tamas, based in Dunakeszi, Hungary. 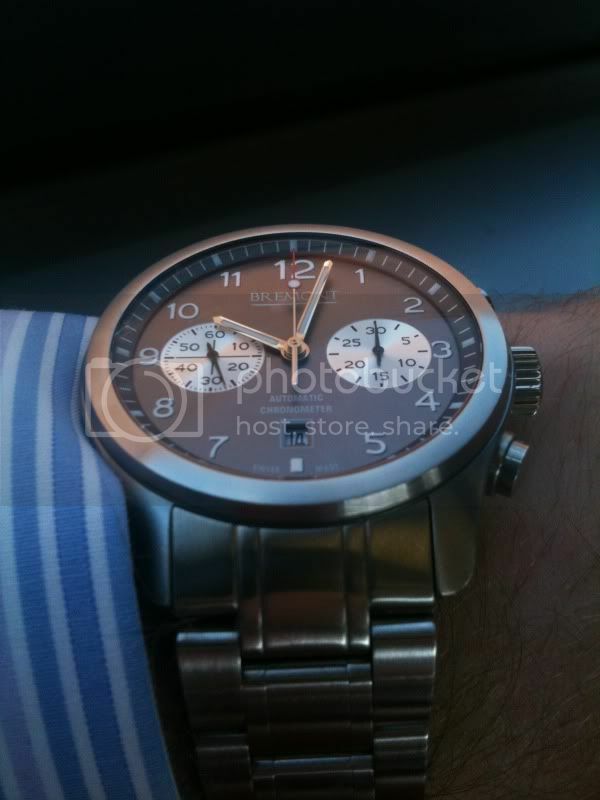 I don't yet own a Bremont, since I only recently got interested in the brand. 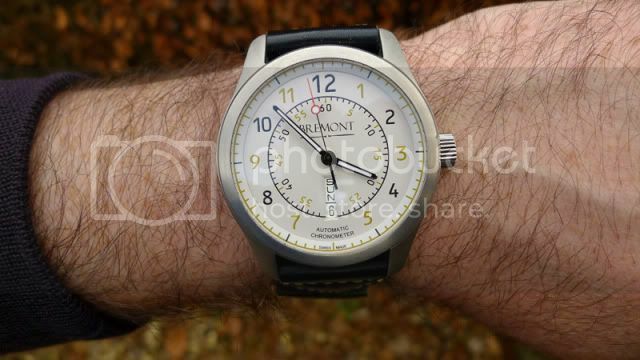 I didn't even know about Bremont until a couple of months ago -- even though I'm a watch nut for over 2 years now. I'm planning on buying a U-2 LE, or in case I run out of time, a U2 DLC. 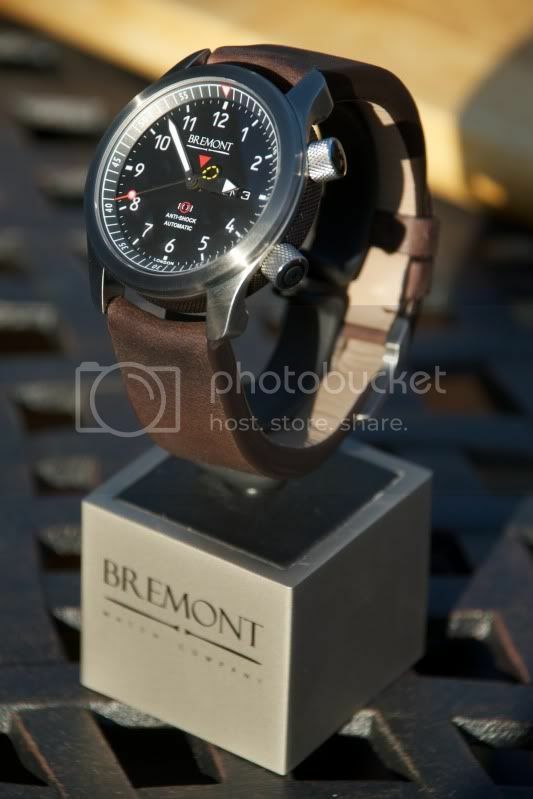 This is my favorite Bremont, although I quite fancy the P-51 and the MBII as well. Quite frankly, I never thought I'd want a PVD/DLC treated watch, but the U-2 is an immensely cool watch with a great story, a rugged and unique construction, and a very handsome face. I'll wait until Basel (only 9 days from now) to see how the new Bremont Solo would be like, and after then -- if all goes well -- I'll order my U-2. Welcome Tamas! U2 ltd edition would be an excellent choice! Look forward to seeing your photos when you've finally made your mind up. I'm Rich in Shropshire with a lovely anthracite ALT1-C which will be the only watch I'll ever need. Well, for the next couple of days at least. I'll soon work out how to upload photos of it!! I'm in Washington, DC. 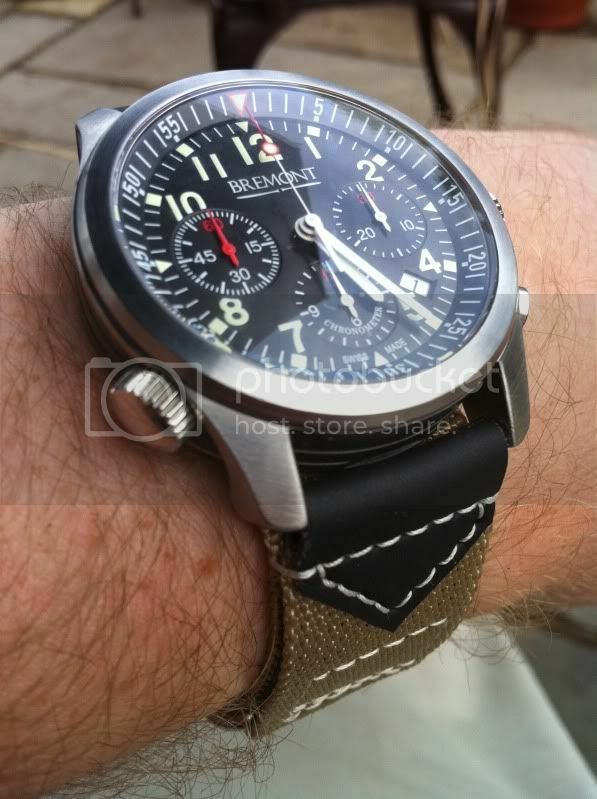 I've got a dark grey ALT1-Z pictured below (in the pic you can barely see the leather strap, but I now have it on the steel bracelet. I've also purchased a P-51 which should arrive in 6-8 months, or so I'm told. Will post pics once it arrives. Very excited. One of these days I'm going to have to get an MBII. 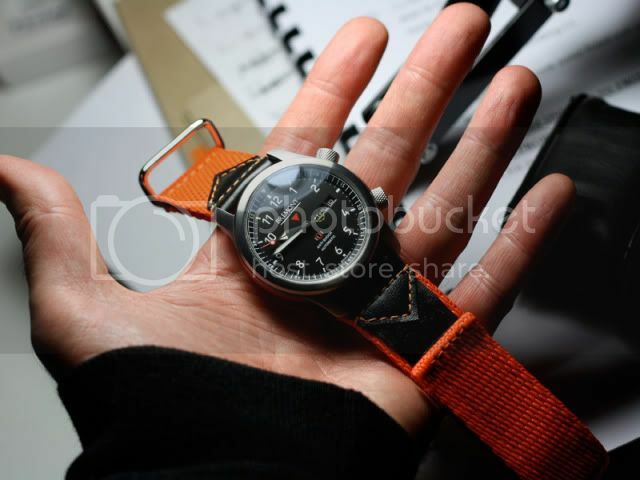 Love the look of it on the orange strap. I'm Jay from Long Island, New York. I've posted up my BRG ALT1-C on another thread. I have a black 'P, anthracite 'C and an anthracite MBII. Not much more that I want now, but let's see what Basel brings! Last edited by bydandie; 03-15-2011 at 10:43 PM. ALT1-C creme, orange MB1.5 and the blue SM500. Should have bought an EP120. Fancy the black / green SC, and looking forward to the Solo. Hi Im Jon from Lancaster, think I recognise a few names from over on ATG. No Bremonts as yet but hopefully this year. Narrowed it down to an ALT1-C just can decide between Black Anthracite or Silver having said that the new SOLO range sound exciting. Philippe, from France, NANCY (east), no Bremont.......MBII orange and U2 LE are my pets !! !